The current research aims to understand and assess the reflection crack mechanism in two-layered asphalt beam system, consisting of an old pavement (bottom) layer and a hot mix asphalt (HMA) overlay reinforced with geosynthetic-interlayers. The beam fatigue tests were adopted to understand the crack mechanism and the assessment of crack phenomenon was done by means of a digital image analysis program. In this regard, two different notch conditions such as 25 and 40 mm notch depths and a notch-less case were considered in the study. In addition, a polyester grid (PET) and a glass-grid composites (GGC) were adopted as geosynthetic-reinforcements in the study. Results indicate that the digital image analysis is effective in assessing the cracking mechanism and phenomenon efficiently. 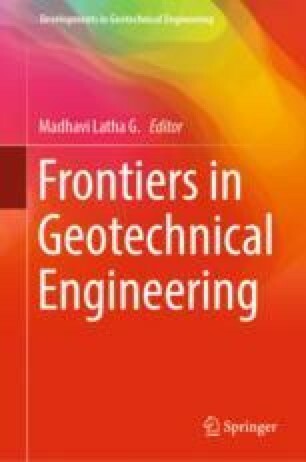 The geosynthetic-interlayers have enhanced the fatigue life, against the reflection cracking phenomenon, irrespective of notch depth. The performance of specimens with 40 mm notch depth is superior than that of specimens with 25 mm notch depth, irrespective of the geosynthetic type. The digital image analysis suggests that an average reduction in tensile strain of about 35% and 70% was achieved in grid and composite-reinforced specimens, against the control specimens, irrespective of notch depths.